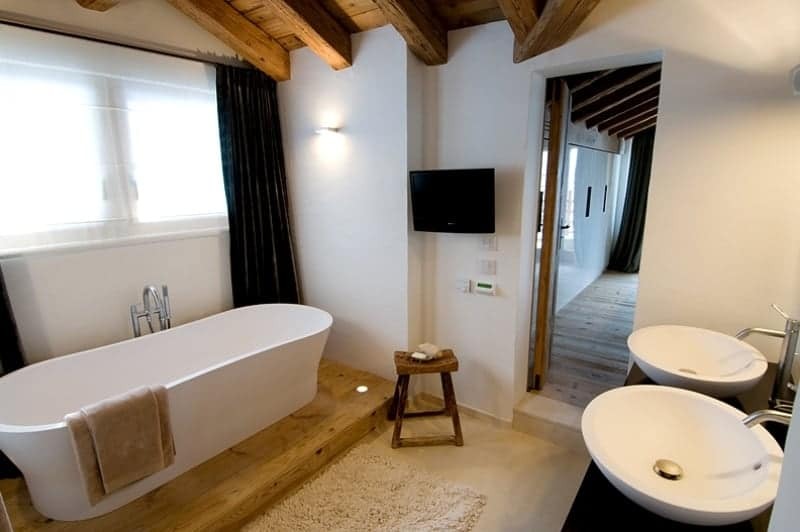 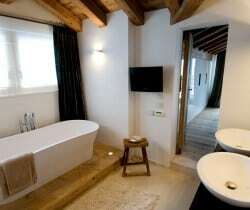 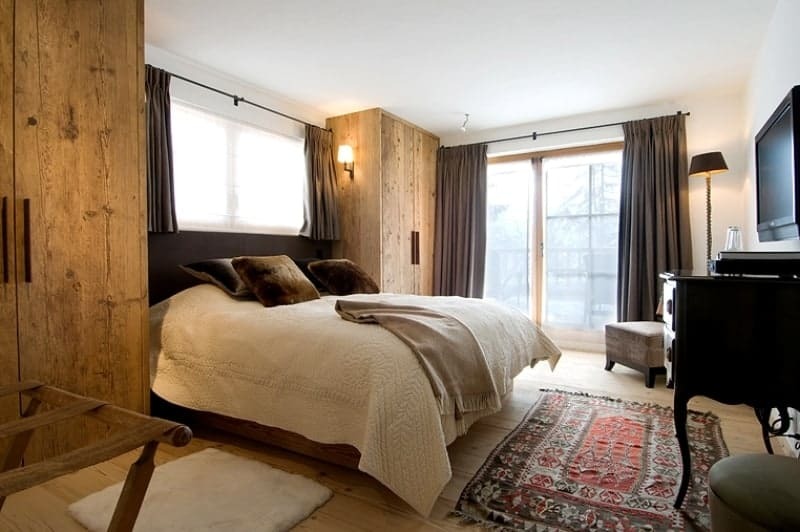 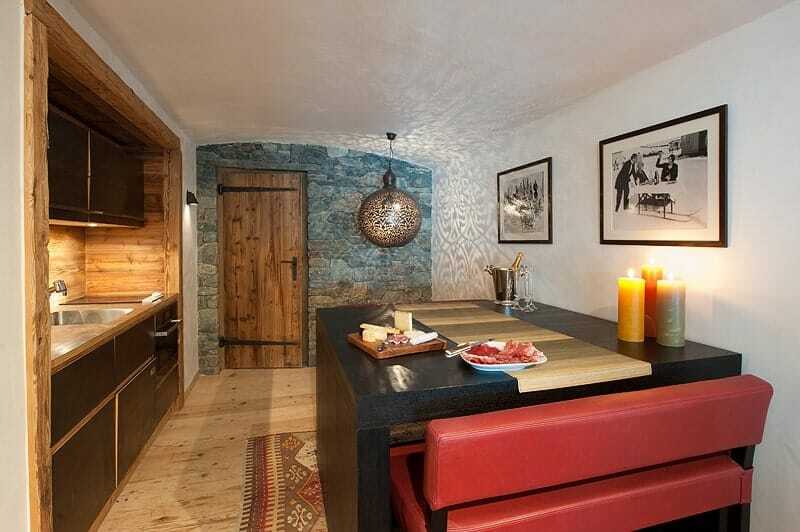 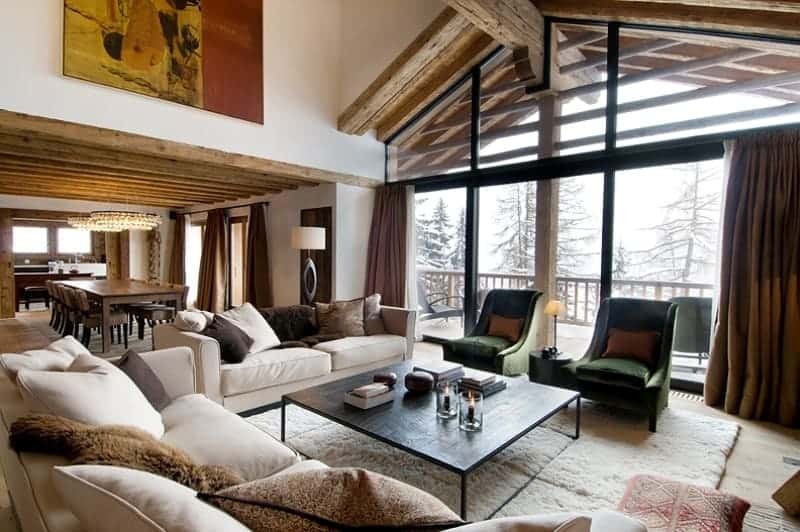 There is not much more that you can imagine when you think of a luxury chalet in the mountains. 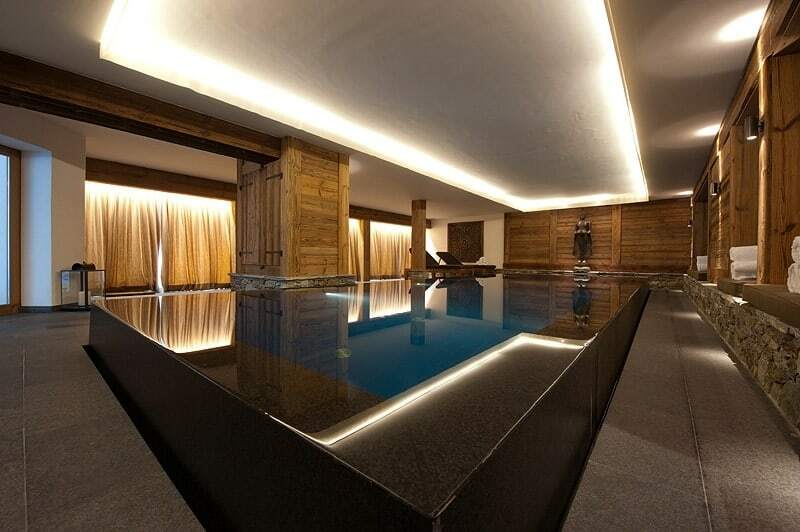 One of Verbier’s most impressive private homes, this exclusive chalet is located in the centre of town whilst discreetly hidden away in a tranquil location on the edge of Verbier’s plateau, that affords breathtaking and unobstructed views of the surrounding mountain massif. 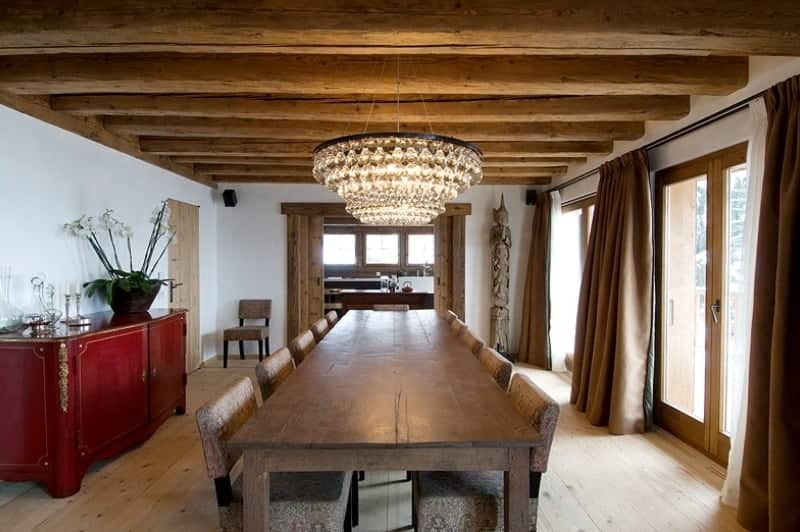 Completed in 2009, this chalet has been built with generous use of local stone and old wood. 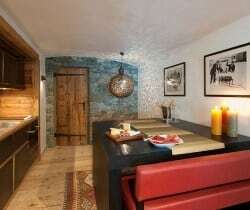 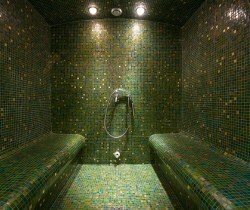 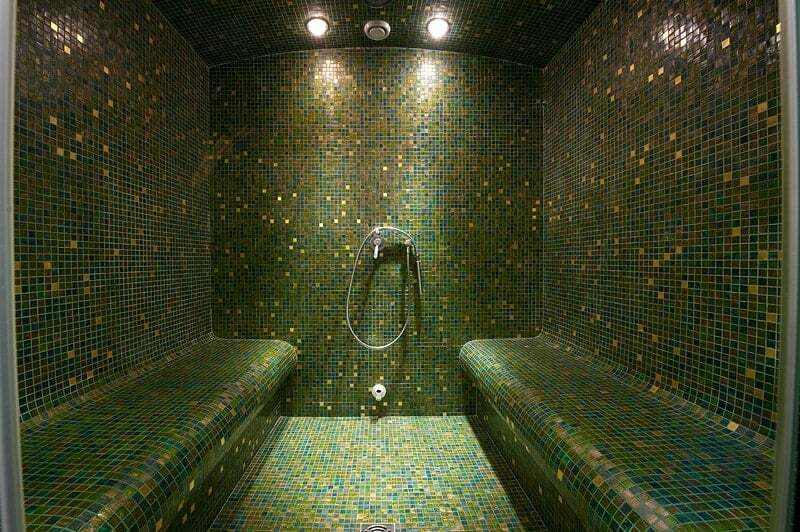 The colours are bright and warm, with decoration based on soft fabrics and carpets. 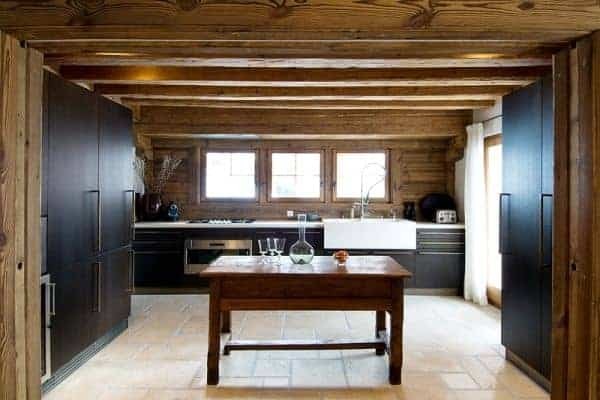 The strong attention to maintaining the traditional architecture (easily recognised in the exterior façade) blends with the savvy use of antiques, modern art and furniture of contemporary design to create a harmonious atmosphere of warmth and modern comfort. 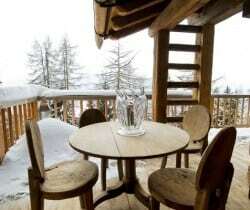 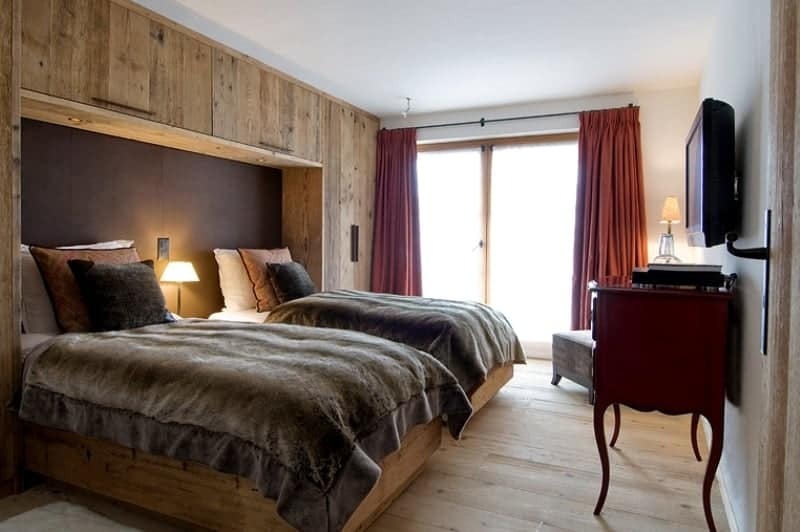 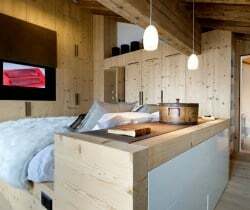 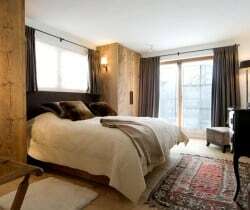 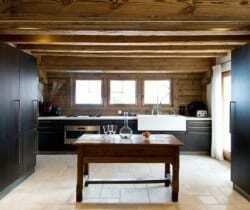 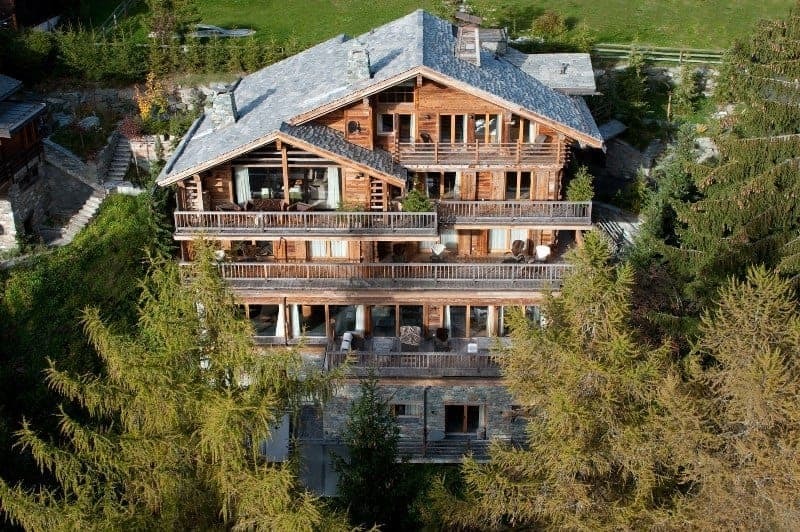 This exceptional chalet can sleep up to 8 adults and 6 children in 6 bedrooms, distributed on two of the four floors. 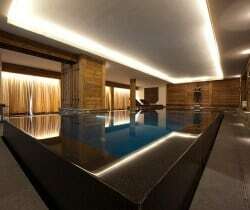 Its large spaces enable guests to feel at ease even when its full accommodation capacity is in use. 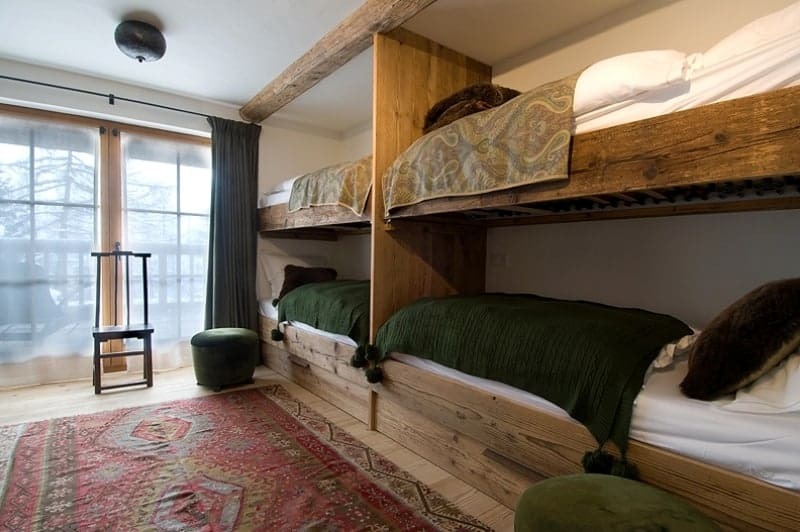 Your kids will surely enjoy sharing one of the double bunk beds room for a fun convivial experience! 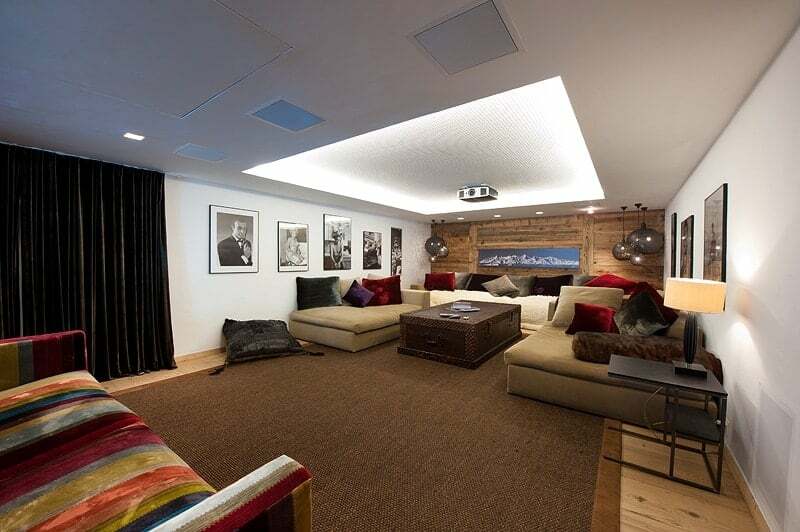 The whole property is fitted with the latest in sound and entertainment systems and also offers a private cinema. 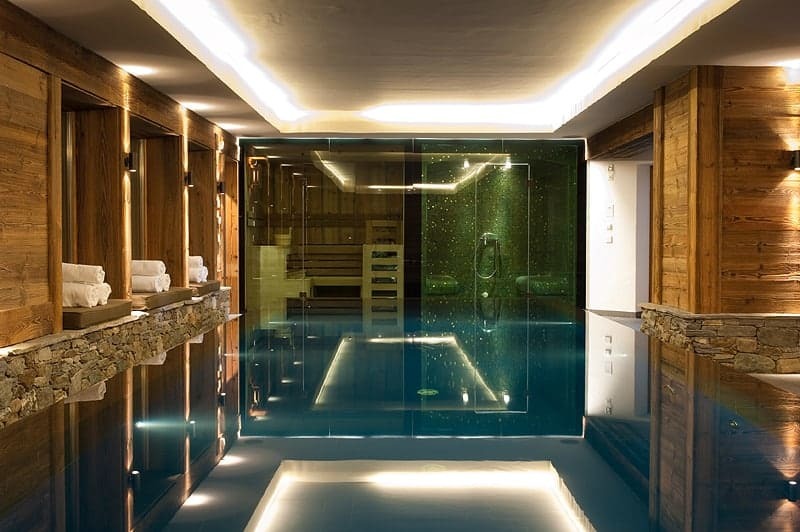 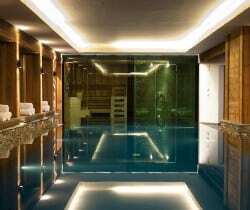 While the kids enjoy the latest movie you will surely make the most out of the beautiful spa itself (be it in the pool, in the hammam or in the sauna; sorry, no Jacuzzi) and indulge in its great views over Val des Bagnes. 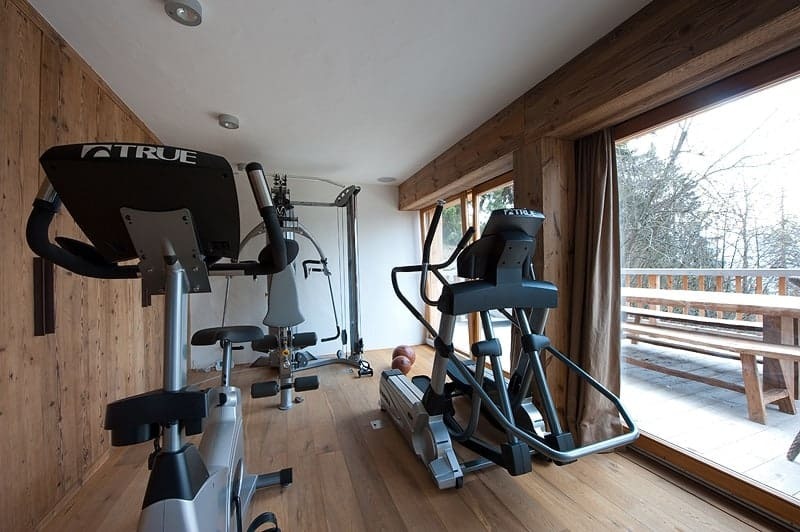 And for the more active guests, a fully-equipped gym will help in burning the remaining energy. 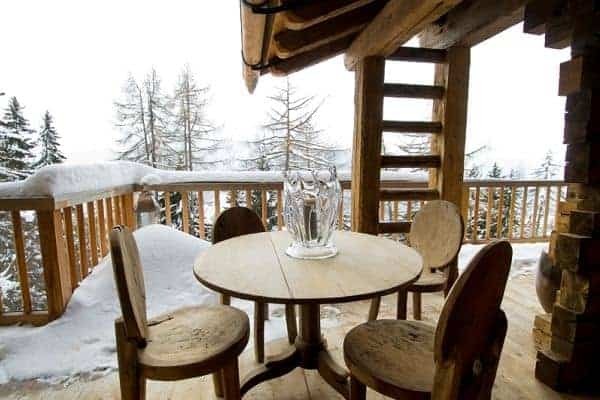 Surely a chalet for those seeking ultimate luxury, the versatility of this exclusive chalet makes it a great choice for a group of friends wanting to live one of the best homes in the village. 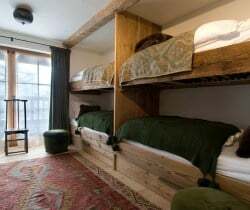 If you also bring your young loved ones they will never want to leave!